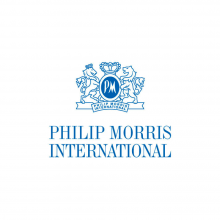 Philip Morris is the leading international Tobacco Company with the objectives to be environmentally and socially responsible. Their mission is to operate with integrity, and focus on responsibly delivering long-term, sustainable growth. Philip Morris supports effective evidence-based regulation of tobacco products and invests in developing and assessing products with the potential to reduce the risk of tobacco-related disease. Over 82,000 people from all five continents, speaking more than 80 languages, make up the success of their company.